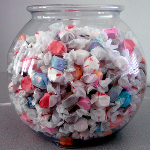 Plastic candy containers can do more than ever. With a variety of shapes and sizes you can create a display that is totally unique. 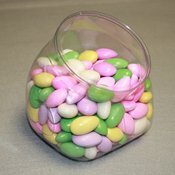 Whether you prefer round plastic candy containers or flattened globes, products will look fabulous. 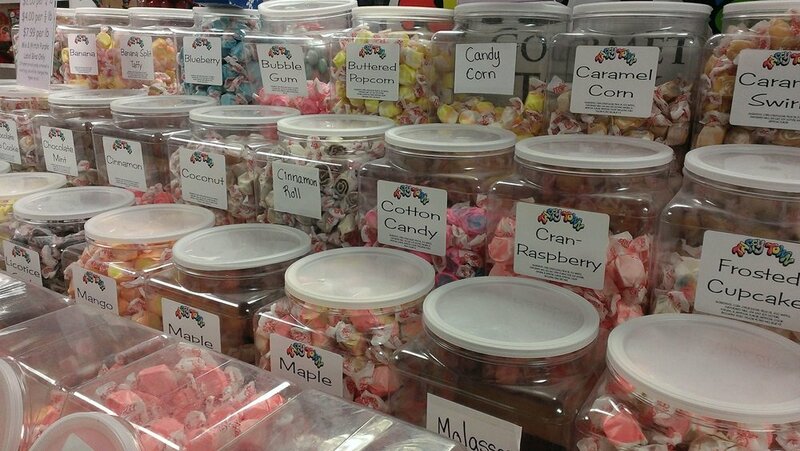 Plastic candy bins make wonderful candy displays and you get the benefit of not worrying about breakage if dropped. 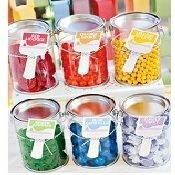 Small plastic candy containers are not only useful as a countertop display but make adorable party favor containers and centerpieces, just fill with colorful candies or other party favorites. 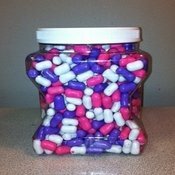 Use large containers to round up and organize those items that always seem to get lost. 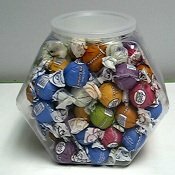 Plastic candy containers wholesale allow you to clearly showcase a wide variety of bulk candy in all colors of the rainbow. Not only is this a wonderful visually appealing display but will allow you space for lots of product choices for customers. 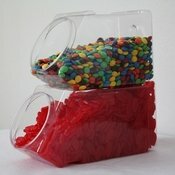 Fill up candy containers will all the most colorful candy treats you can find and the visual appeal will be wonderful. 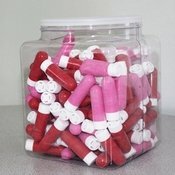 If you want to really make the most of your space try the plastic stackable containers and square plastic jars that let you display more with less. 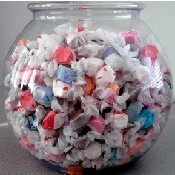 Enjoy the increase in impulse buys when customers catch a glimpse of the products in a plastic candy container. 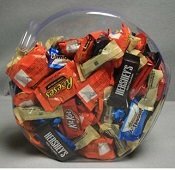 For home and office you can offer up tasty candy in a plastic candy bowl set in a prominent location. 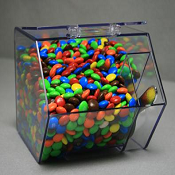 Wherever you need them to design the very best candy shop you can imagine or to showcase goodies at events and so many other purposes, wholesale candy containers are a top notch asset to you.